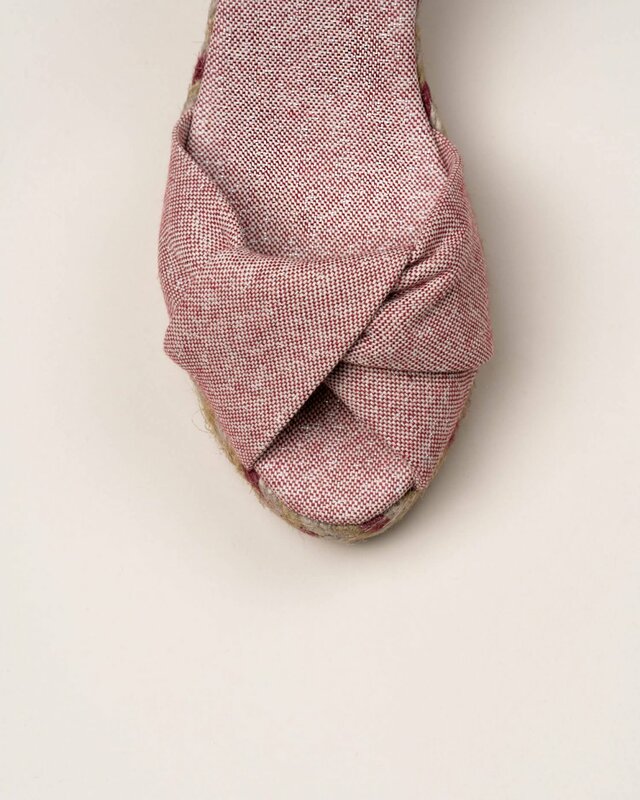 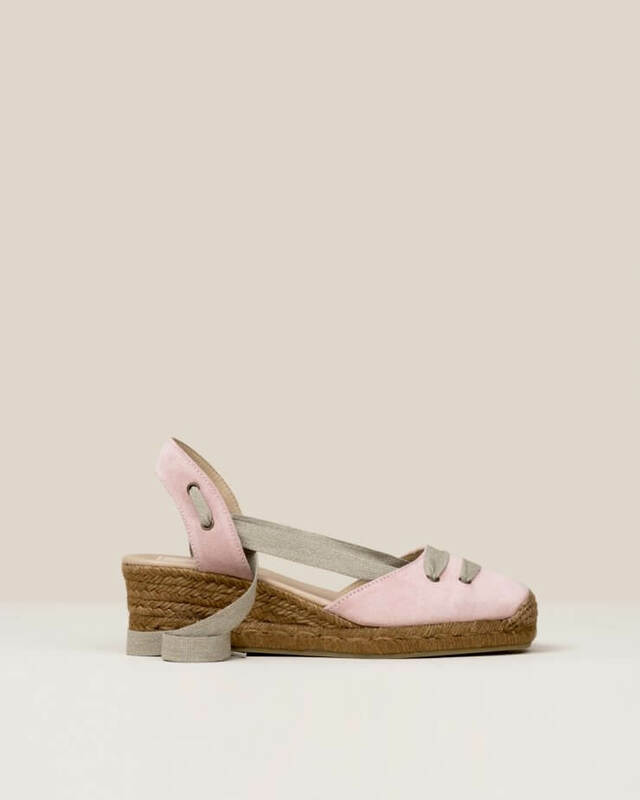 Pink Textile espadrilles. 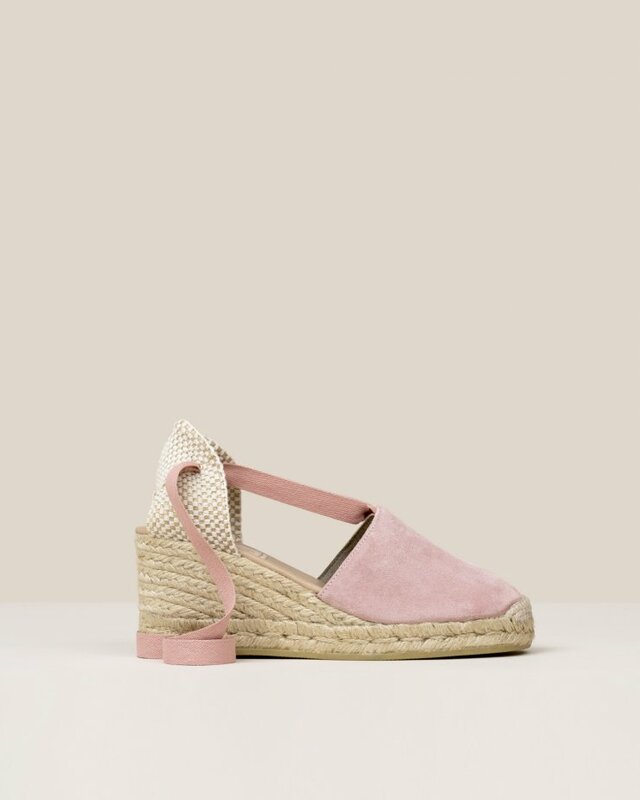 Wide cross over suede toe and closed heel. 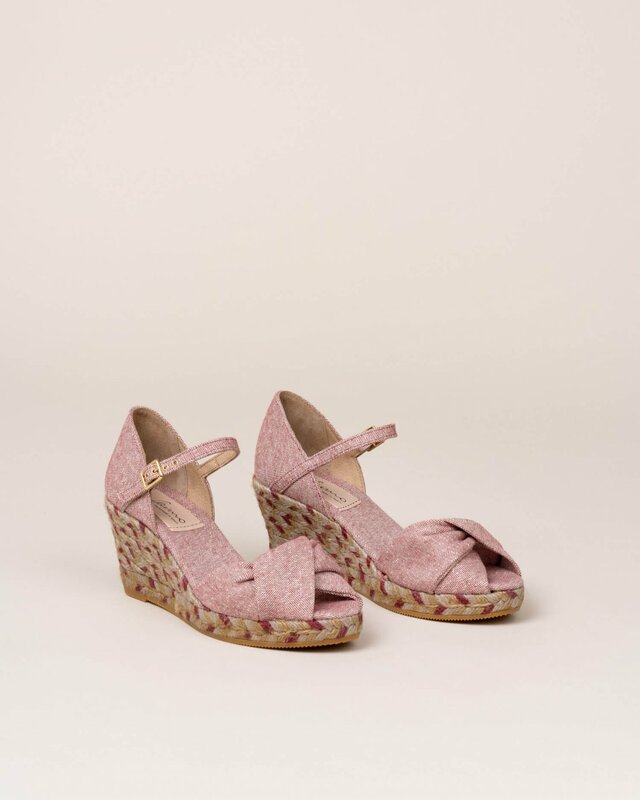 Buckle clasp at heel. 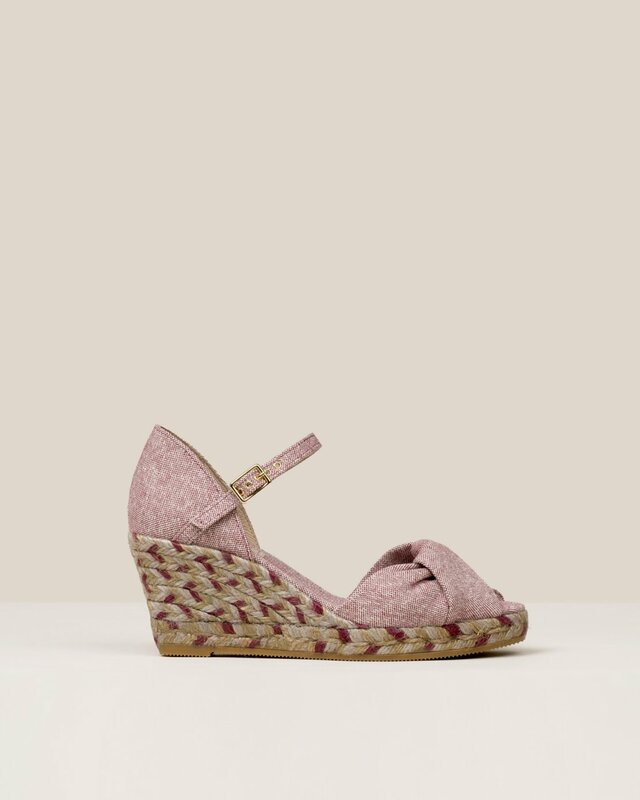 Multicolour medium jute wedge.